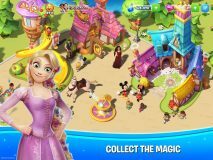 Download Disney Magic Kingdoms: Build Your Own Magical Park APK v3.9.0f. 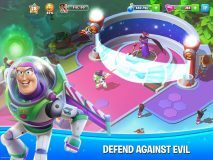 Disney Magic Kingdoms: Build Your Own Magical Park is posted in Simulation category and is developed by Gameloft. The average rating is 0.0 out of 5 stars on our website. However, this app was rated 4.2 out of 5 stars according to different rating platforms. 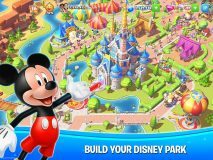 You may also leave your review for Disney Magic Kingdoms: Build Your Own Magical Park on our website so that our users may have a good idea about the app. 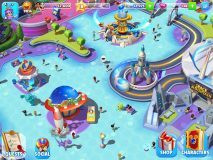 If you want to know more about Disney Magic Kingdoms: Build Your Own Magical Park then you may visit gameloft help center for more information. Average rating of 4.2 is calculated by taking account of ratings by 408,358 users. The app was rated 1 stars by 37,459 users and 5 stars by 269,959 users. This app is downloaded minimum 10,000,000 times but the number of downloads might be as high as 50,000,000. 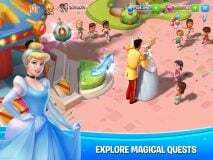 Download Disney Magic Kingdoms: Build Your Own Magical Park if you need a free app from the Simulation category for your device but you will need Android 4.1 version or higher to install this app. This app was posted on December 12, 2017 and is available since then on AndroidAPKsFree. The current version is 3.9.0f. The app is available in english and the total versions you can download are 25. Download APK and open it using your favorite File manager and install by tapping on the file name. If the installation does not start then you need to enable unknown sources from your Android settings. 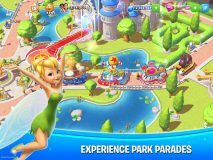 Some apps like Disney Magic Kingdoms: Build Your Own Magical Park are Pokémap Live - Find Pokémon, FarmVille: Tropic Escape, SimCity BuildIt, Design Home, Fire Emblem Heroes, Dragon City, Farming Simulator 14, Jurassic World™: The Game. If you want to write a review then install this app and rate on our website. The download is hassle free as our speed is fast and we offer direct links to all the available 25 versions of the Disney Magic Kingdoms: Build Your Own Magical Park free. What's new in this version of Disney Magic Kingdoms? DUMBO SOARS HIGH IN THE SKY! Ladies and gentlemen! We would like to present to you Dumbo, the Flying Elephant! Join us in welcoming characters from this Disney classic, including Timothy Q. Mouse, the Ringmaster, and Dumbo himself! NEW CHARACTER FROM BEAUTY AND THE BEAST! We know no one's as slick and quick as Gaston… but LeFou from Beauty and the Beast is also joining the collection through a new limited-time event! Come and get him!